ATMI delivers turnkey solutions for semiconductor devices and components through assembly, parametric testing, and final functional testing. ATMI has developed a cloud-based parts and information work flow infrastructure that allows our customers to monitor their parts online in real time as they progress through fabrication, assembly, and final test. 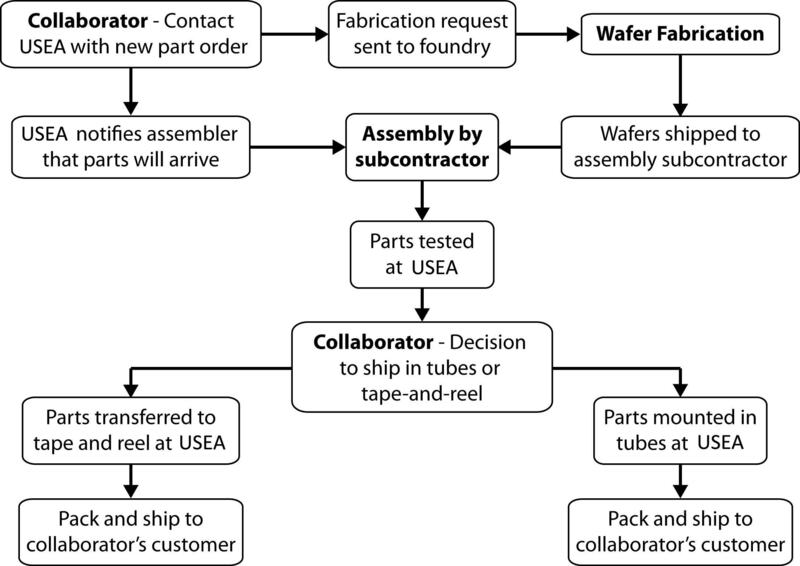 The transparency that a customer has on their work and products is made available through the cloud-based WIP (Work in Progress). ATMI's turnkey solutions allow a seamless scale-up option from a few parts to millions of parts per month. Â» Handlers, Probers, and Testers - State of the art test equipment located in our San Jose, CA and LISP 1, Cabuyao City, Philippines facilities. Â» High-PAS Testing After Saw - Proprietary technology for highly parallel probing of wafers after saw at multiple temperatures (-55 to 200Â°C). Â» Unique Specialty Testing - High throughput specialty testing including UIL/UIS (avalanche), RC/CG, QG, and DC testing through our QM-1000 tester. Â» Test Data in Real Time - Test data are uploaded in real time to the cloud to enable our customers to monitor their test data in real time through our DataCruncher tool. Â» WIP Tracking - State of the art online tracking of work orders through the WIP tool. ATMI has developed proprietary technology for the highly parallel testing of chip scale packages on a film frame. This advanced form of strip testing offers a much more efficient work flow and product yield than other chip scale package handling techniques. 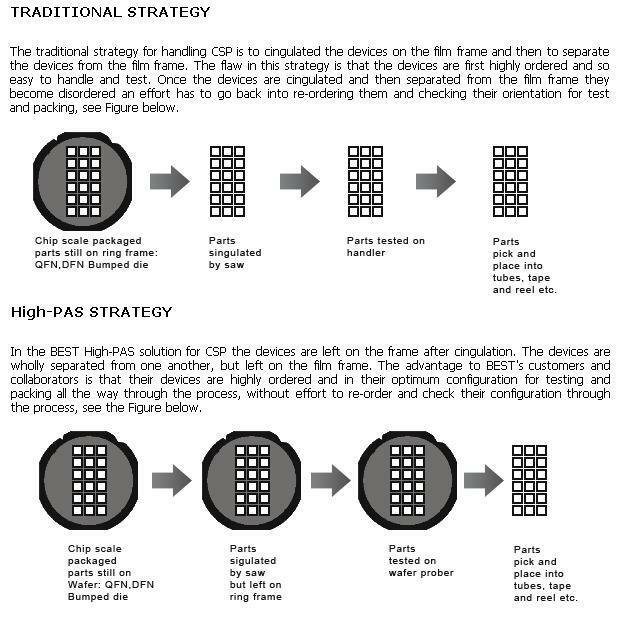 Â» Placement of components next to probe - High-PAS technology is the only solution for placing discrete components directly next to the device under test for devices. The strategy allows for testing otherwise not possible and for increasing test yield. Â» Increased throughput (UPH) - When testing at high volume, ATMI's High-PAS technology dramatically increases the test speed for chip scale, bumped die, and cingulated die on the film frame handler. This is achieved through elimination of jams associated with turret and gravity feed handlers, reduced indexing time between tests, and reduced engineer supervision requirements. Â» Reduced Tooling Costs - The tooling costs for handling chip scale packages on handlers such as turret and gravity feed handlers are avoided when handling the parts on the film frame handler. Â» Reduced Engineering Setup Costs - The engineering time required to implement a change kit on turret and gravity feed handlers is eliminated and replaced with a lower effort alignment procedure on the film frame handler. Â» Tri-Temperature Testing - ATMI's film frame handler strategy allows for the testing of parts at multiple temperatures ranging from -40Â°C to 85Â°C. Â» Reduced Test Costs - The increased throughput of testing coupled with lower engineering setup costs and associated NRE results in a lower test cost and higher customer margins. Â» Test After Saw - The mechanical and chemical damage to parts that sometimes occurs during the saw process is screened for using the High-PAS testing after saw technology. ATMI has developed proprietary technology for the highly parallel testing of parts after saw. Our technology fixes the die in position after the sawing processes, with minimal x-y displacement. This allows for highly parallel testing of the die at temperatures ranging from -55Â°C to 200Â°C on automated test equipment. Â» Increased Throughput (UPH) - When testing at high volume, ATMI's High-PAS technology dramatically increases the test speed for chip scale, bumped die, and singulated die on the film frame handler. This is achieved through elimination of jams associated with turret and gravity feed handlers, reduced indexing time between tests, and reduced engineer supervision requirements. 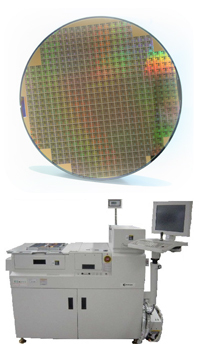 ATMI has developed test solutions that allow highly parallel specialty testing (including UIL/UIS, RG/CG, QG, and DC) of wafers and packaged die on single insertions. The QM-1000 quad-site tester offers up to a 4X increase in throughput. ATMI collects 100% of the production and characterization test data which are available for examination through our proprietary cloud-based database DataCruncher. During an engineering characterization program, ATMI is able to translate all of the test data into graphs and datasheets ready for our clients' engineering, production, and marketing groups. 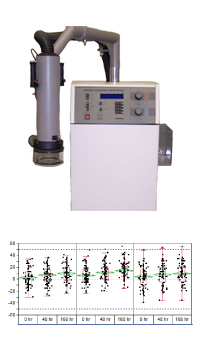 ATMI has a wide range of equipment optimized for performing tests at these temperatures. ATMI's focus is providing services and solutions to the analog and mixed signal semiconductor industries from its two locations in San Jose, CA and LISP 1, Cabuyao City, Philippines. Our customers are able to track our testing and turnkey solutions through our cloud-based information and work tracking technology called WIP (Work in Progress). Finite Element Modeling - Multiphysics modeling of collaborators' devices to understand their electrical, physical, and material interactions. Advanced Mathematical Modeling - ATMI is able to leverage a team equipped with advanced skills including fast fourier transforms, harmonic analysis, multi-polynomial curve fitting, and mathematical treatment of nonlinear systems. Advanced Statistical Analysis - ATMI's Advanced Programs Group is able to process large amounts of data and tease out correlations and determine the statistical significance of process changes and correlations. Engineering Characterization - Smaller scale engineering studies with comprehensive parametric and functional testing, including our unique multi-temperature test technologies. Package Qualification - This includes parametric testing, functional testing, highly-accelerated aging, and highly accelerated lifetime testing. Production Testing - Optimized test procedure along with optimized parts handling strategy, including our unique test solutions. ATMI has a wide range of equipment optimized for performing tests at multiple temperatures. 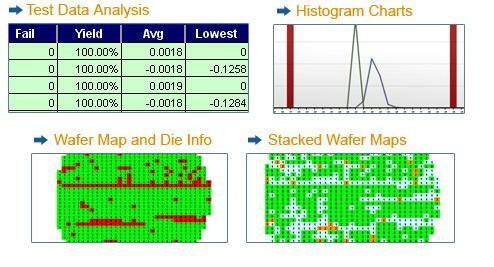 The Cruncher is a suite of device and wafer data acquisition tools for engineers and in-house manufacturing groups. It is web based to allow easy access of production and engineering data, from wafer sort to final test for creating detail histograms and other visual reports to assist you and your customers with monitoring and increasing your overall device performance. ATMI recently introduced the QM1000 quad-site instrument for testing analog and mixed signal semiconductor devices. 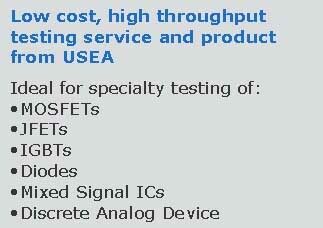 This low cost, high throughput service and product is ideal for specialty testing of MOSFETs, JFETs, IGBTs, diodes, mixed signal ICs, and discrete analog devices. Designed to mate with and expand the capabilities of the LTX-Credence ASL1000, the QM1000 performs both DC and specialty AC tests, including QG, RG, CG, and UIL/UIS (Avalanche). The ability to perform quad-site testing on a single insertion basis reduces device handling requirements and eliminates the need for multiple external instruments to fully characterize semiconductor devices. The QM1000 offers up to 4X improvement in test throughput and yield, and is compatible with film frame, rotary, and auto handlers. In addition to direct sales of the QM1000, ATMI offers test services in its San Jose, CA and LISP 1, Cabuyao City, Philippines facilities. Customers have the option of purchasing time and using the QM1000 on their own or utilizing ATMI's seasoned team of test engineers to perform semiconductor testing on a contract basis. 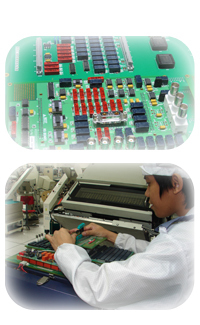 ATMI has a wide assortment of wafer handlers at our San Jose, CA and LISP 1, Cabuyao City, Philippines facilities. ATMI has a wide assortment of wafer sorters and probers at our San Jose, CA and LISP 1, Cabuyao City, Philippines facilities. ATMI provides professional MOSFET characterization services for engineering, production and marketing efforts. ATMI ensure the quality of the data by checking the data against the customers product specifications sheet and ensuring that the data is self consistent, for example that RDSON vs. VGS is consistent with the Typical Characterization Output, and that Ciss is consistent with expected Qg, etc. Â» Gate to source threshold voltage (VGSTH) vs. Temperature. Â» Drain to source breakdown voltage (BVDSS) vs. Temperature. Â» Capacitance (Ciss, Crss and Coss) vs. source voltage. ATMI has over twenty years of MOSFET production and characterization testing, contact us to discuss your device. ATMI understands the importance of good die attach in devices including power MOSFETs; therefore ATMI develops Delta VSD (DVSD) testing for the engineering and production phases in accordance with MIL-STD-750D method 3161. 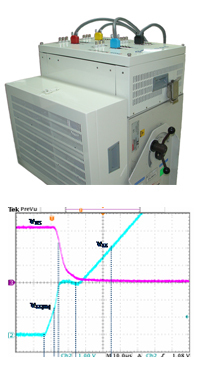 Â» Thermal characterization of the part with regard to VSD vs. Temperature. Â» Test development for the initial and final VSD determination. Â» Test development of the appropriate heating current pulse. Â» Test development of the duration of the heating pulse to ensure that the test interrogates the die to lead frame attachment. Â» ATMI is unique in that we can scale engineering Delta VSD (DVSD) and perform true quadsite testing in production. ATMI provides a service hub for our customers and collaborators, including our fabless customers, ATMI SemiCon Hub. 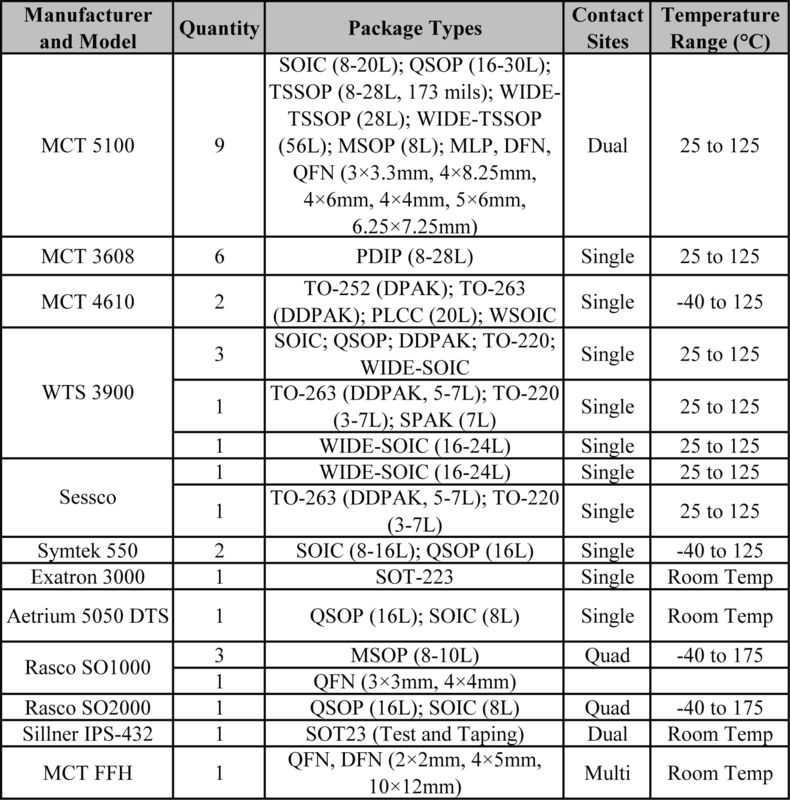 Â» Receive, store and drop-ship wafers and packaged parts. ATMI can receive, store and ship to your customers and collaborators. The parts are automatically tracked in the ATMI WIP . Your valuable wafers and parts are securely stored on site with a 24/7 surveillance system monitoring the facility and storage area. Â» Administrate your shipping and receiving tasks. ATMI will manage your customs and shipping issues to locations around the world. Â» Manual handling of parts and packing. ATMI will perform manual manipulation of parts including: de-tape, tape, tube loading, tube un-loading, waffle pack loading/unloading, scrapping of parts, canister-to-tube, canister-to-tape, canister-to-waffle, marking etc. 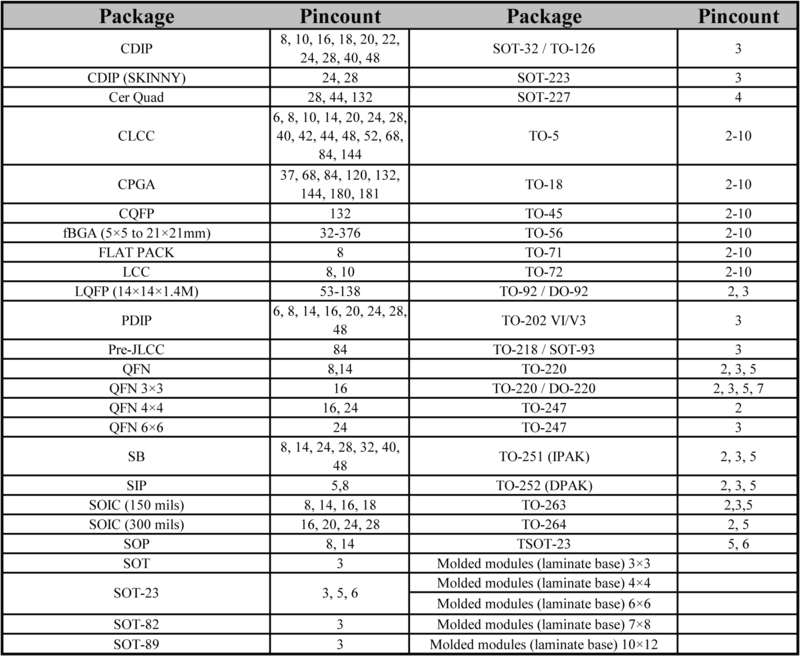 Â» Package part and lot manipulation. ATMI can receive multiple lots and can combine/mix/split and ship to multiple sites. The technology behind our ATMI SemiCon service hub is our Customer Request Ticketing Cloud database, our database allows two easy steps to requesting work. * STEP ONE - Logon to ATMI's database through the customer portal. * STEP TWO - Select the work type request, enter the work request details, enter the date by which you require the work, upload the supporting documents behind the work, if requesting several pieces of work select the relative priority of reach, identify the PO number behind the request and finally submit the request. The database therefore allows our customers and collaborators a Cloud portal to track the work has been requested by them and their colleagues and track what work has been been delivered against. Wafer probe card design and assembly - The ATMI and Semi-Probes wafer probe technologies include: epoxy, blade, ceramic and co-axial; our solutions are delivered using off the shelf pcb or custom pcb. Our probe card solutions can range up to 500 points. Wafer probe card accessories - ATMI and Semi-Probes wafer probe technologies offer a range of probe card accessories: epoxy probes, metal blades, ceramic blade, mother boards, load boards etc. Wafer probe card repair - ATMI and Semi-Probes have over 61 years combined experience of providing wafer probing services and products to the semi-conductor industry. Load board design and assembly - The ATMI and Semi-Probes are able to offer fast turn around in load board and probe board design, fabrication, and populating from our locations in the US and Philippines. Printed circuit board design - ATMI and Semi-Probes are expert in printed circuit board designing, from simple two layer boards into highly complex ,multi-layered boards. 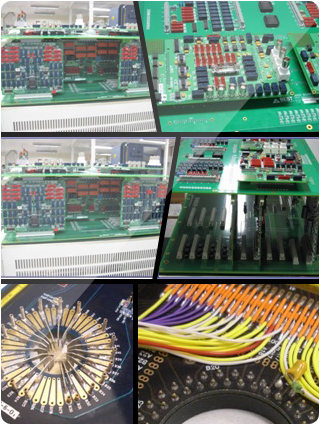 The ATMI and Semi-probe partnership has developed boards for the QM1000, load board, wafer probe boards etc. Validation of wafer probe solutions - The ATMI Semi-Probes wafer probe solution is unique as the partnership can not only design and provide the complete wafer probe technology it can also be validated on our production or engineering probers at ATMI's Philippines and US facilities. High-PAS technology - ATMI has the unique High-PAS technology where we are able to apply our ATMI and Semi-probes technology to highly parallel wafer probing after saw. MEASUREMENTS ARE CONTINUOUS - The advantage is that rather than waiting for read points on the device for example at 500 temperature cycles, 1500, 7500 15,000 temperature/power cycles etc, the data is continuously gathered and so devices that are damaged by the cycling are seen much earlier. ATMI has seen apparently "good" arts fail in as little as 200 temperature/power cycles. The implication to our customers is they have an accelerated warning that a lot is going to fail the IOL study. 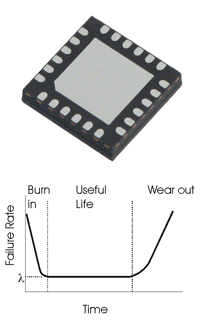 PROVIDING UNDERLYING ROOT CAUSE - The fact that ATMI temperature cycles the devices and continuous tracks parameters such as VSD, RDSON, Vth, BVDSS, any MOSFET parameters, any IGBT parameter, diode related parameters etc, means that the trends in drift can be analyzed and provide additional insight into whether failure issues are related to specific parts of a device, e.g. drain, source or gate and whether failure a gradual process through migration of metal or a sudden failure due to bond failures etc. CONTINUOUS DATA TRACKING - ATMI is continuously monitoring the electrical and thermal parameters of all the devices throughout the study and so if devices are showing significant changes during the study then ATMI is able to call this very early in the study and a warning call can go to a customer within hours of starting the test. 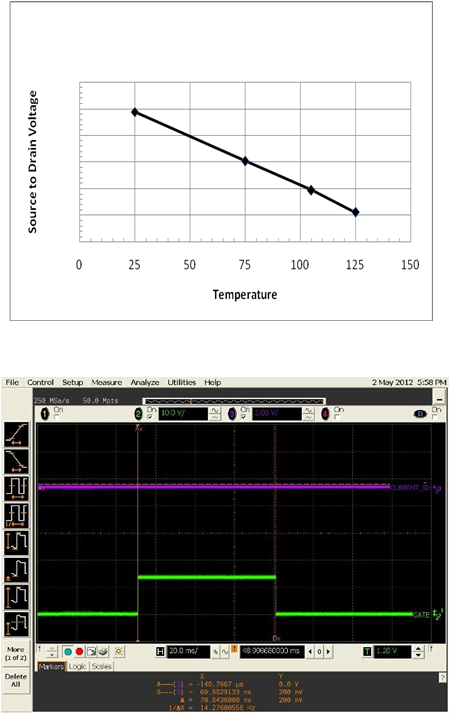 OPTMIZED THERMAL TRACKING - ATMI is able to track the temperature of individual parts during the study and so ATMI is able to accelerate the thermal cycling time between heating and cooling by individually tracking the parts, rather than waiting some arbitrarily long cool down time of two or three minutes. Knowing the exact temperature of each individual device throughout the study provides optimized temperature cycling and guarantees that each device was cycled at and between the required temperature. TESTED and CYCLED IN PLACE - ATMI is continuously tracking the performance of each device through out the IOL study, as we are testing and cycling the device in the same fixture. Therefore ATMI has eliminated handling errors when devices are manually transitioned between cycling stations and test stations. * SAME ACTIVE HEATING - In both the ATMI highly accelerated IOL and the traditional IOL, the source of heating comes from electrical power applied through the die, and so both tests are fundamentally identical. * SAME TEMPERATURE CYCLING - In both the ATMI highly accelerated IOL and the traditional IOL the devices under test are expected to temperature cycle from 25 Â°C to ? 125 Â°C. The advantage of the ATMI highly accelerated IOL testing is that the exact temperature of the devices at any point with the IOL cycling is known and can be used in the understanding failures, outliers and mavericks etc. © 2019 Analog Test and Measurement Philippines Inc. All Rights Reserved.